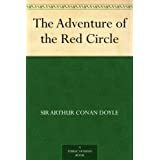 About the Book: "The Adventure of the Red Circle" is one of the 56 Sherlock Holmes short stories written by British author Arthur Conan Doyle. It is included in the anthology His Last Bow. My Review: In this story, Mrs. Warren, a landlady, comes to 221B Baker Street with some questions about her lodger. A youngish, heavily bearded man, who spoke good but accented English came to her and offered double her usual rent on the condition that he get the room on his own terms. He went out the first night that he was there, and came back after midnight when the rest of the household had gone to bed. Since then, neither Mrs. Warren, her husband, nor their servant girl have seen him. The lodger insisted on having the Daily Gazette every morning, and sometimes requested other things. All requests were printed on a slip of paper left on a chair outside the room where meals were also left. Mrs. Warren has brought some spent matches and a cigarette end from her lodger, hoping that Holmes can read something from them. It is clear that the cigarette has been smoked without a holder, which is quite unusual for a man with whiskers. He also eats very little, and never receives visitors or messages. 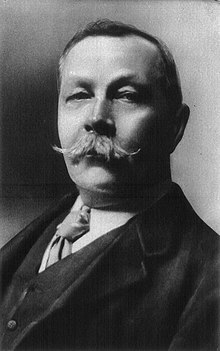 After the landlady leaves, Holmes remarks to Dr. Watson that it seems likely that the person in Mrs. Warren’s house is not the bearded man who made the arrangements. The evidence lies not only in the cigarette, but in the fact that the lodger’s knowledge of English is not as good as the bearded man’s (he wrote MATCH as one of his requests, for instance, not MATCHES). His “return” on the first night was very late so that no-one would see him and he has taken great pains to ensure no-one has seen him since. Holmes suspects that messages are being sent to the lodger, perhaps in the Daily Gazette’s agony column. He finds them: “Will find some sure means of communication. Meanwhile, this column. G.” (posted only two days after the lodger’s arrival), “Am making successful arrangements. Patience and prudence. The clouds will pass. G.” (three days later), and “The path is clearing. If I find chance signal message remember code agreed–one A, two B, and so on. You will hear soon. G.” (yesterday). Holmes needs only wait one day for a very useful message: “High red house with white stone facings. Third floor. Second window left. After dusk. G.” Holmes decides that it is time to reconnoitre Mrs. Warren’s neighbourhood. Just then, Mrs. Warren arrives complaining that her husband was kidnapped that morning and taken by cab to Hampstead Heath where he was unceremoniously cast onto the roadway. He never got a clear look at his kidnappers or their cab. Holmes realizes that the ruffians mistook Mr. Warren for the lodger, and dumped him after they realized their mistake. Holmes and Watson go to Mrs. Warren’s house just before lunchtime, hoping to catch a glimpse of the lodger as he takes his lunch from the chair. Before going in, Holmes observes that the lodger’s window commands a good view down Howe Street, and at the other end is a house matching the one mentioned in the agony column. In Mrs. Warren’s house, Holmes and Watson hide in a boxroom. By using a mirror they see the lodger retrieve the lunch tray from the hall, discovering that the lodger is a comely-featured young woman with a dark complexion. They realize that she has been carefully printing (rather than writing in common handwriting) her requests to hide her gender. It is equally clear that she and her bearded confederate, likely a lover or husband, are in some kind of danger and seeking refuge. From the lodger’s horror at suspecting a trick at lunchtime, and the exceptional precautions that have been taken to ensure secrecy, it must be a matter of life and death. That evening, Holmes and Watson are on hand to see the lodger’s confederate’s lantern-signals, sent by a waving candle. The first message says “Attenta, attenta, attenta!” (Beware, beware, beware!). It becomes clear that they are Italian, and from the “-a” ending that the message is meant for a woman. The signaller then flashes “Pericolo” (“Danger”) and then “Peri-”. Realizing that the signaller has been interrupted, Holmes and Watson rush to the house and are surprised to meet Inspector Gregson and a Pinkerton detective from the United States named Leverton (described by Holmes as "the hero of the Long Island cave mystery"). They are lying in wait for Giuseppe Gorgiano, a vicious killer of whose infamy Holmes is well aware. The house has only one door and they know that he is inside. Gregson and Leverton have been unaware of the signalled messages. Gregson says that three men have come out of the house, but none was Gorgiano, who is a giant. One, however, matched the description of the man who made the arrangements at Mrs. Warren’s. Going into the house and to the room where the signalling came from, Holmes, Watson, Gregson, and Leverton discover a grisly scene. The giant Gorgiano has been killed, apparently in a fight. The bearded man is undoubtedly the killer. The lady's arriving at the door shortly afterward is a surprise to everyone but Holmes, who had impersonated the lady's confederate by re-lighting the same candle that her confederate had used, and signalling in Italian for her to come. Her name is Emilia Lucca, and her confederate is Gennaro, her husband. The men are rather taken aback by her obvious joy at this ghastly sight. She confirms that the Luccas were seeking refuge from the dangerous Giuseppe Gorgiano, who was out to kill Gennaro for betraying the Red Circle, a secret criminal organization that he had got himself involved in as a younger man, when he'd been deeply embittered over worldly injustices. Gennaro had never actually participated in any of the society's crimes, however, and eventually decided to leave the organization in spite of the threatened consequences. He and his wife fled Italy and went to New York to escape the Red Circle, but Gorgiano, another member, discovered Gennaro there, and contrived to oblige him to murder a good friend, a man who had gotten Gennaro started in legitimate business in the USA. Gennaro had no intention of doing such a thing, and even warned his friend of the Red Circle’s orders. The police were also informed. The Luccas then fled to England where Gorgiano tracked Gennaro down, intending to kill Gennaro and abduct the lovely Emilia, to whom he had developed a lustful attraction. Gorgiano died in the ensuing fight, however. Gregson feels compelled to take Emilia down to the police station, and the same fate probably awaits Gennaro, but as it is obvious that their actions had been purely in self-defense, it seems likely that there will be no charges. 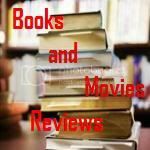 Excellent plot, I recommend this story to the permanent library of all readers that appreciate a well written mystery tale, mainly featuring Mr. Sherlock Holmes. They will not be disappointed.